The way businesses buy from one another has changed profoundly in recent years. Markets have evolved, disruptive technologies have sprung up and buyers’ expectations have changed. But despite this, the fundamentals of business-to-business marketing have remained constant: today’s corporate decision-makers still need to know who you are, what you do and why you matter to them. In Business-to-Business Marketing, Mark Eardley and Charlie Stewart review the basic rules of B2B marketing. They offer guidance on how to motivate your markets to buy from you, how to differentiate yourself from your competitors and explain which tactics to use to reach your customers with the right messages at the right time. 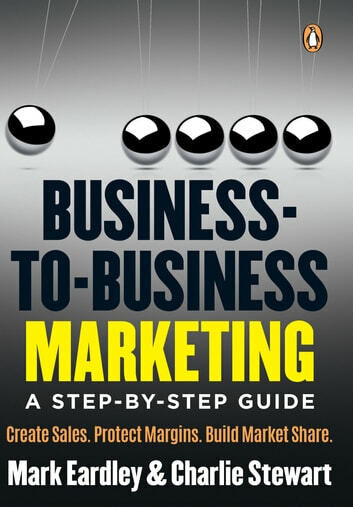 Their step-by-step guide will help your marketing effort deliver three critical results – increased sales, rising market share and rock-solid margins. Written in straightforward, punchy language with simple, practical take outs at the end of each chapter, this is a must-have book for anyone involved – in any way at all – with attracting and retaining proﬁtable customers.